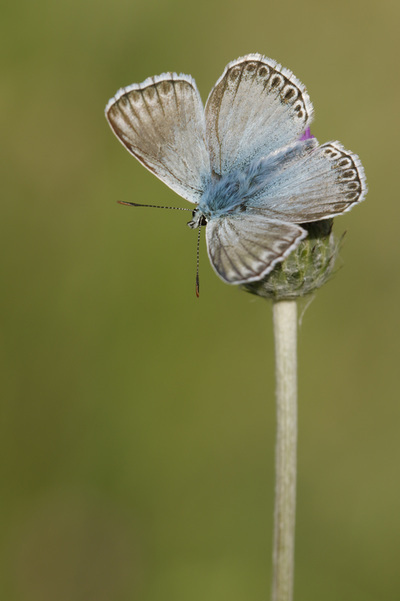 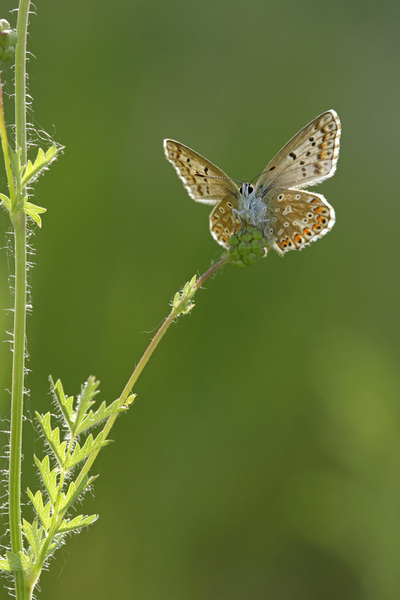 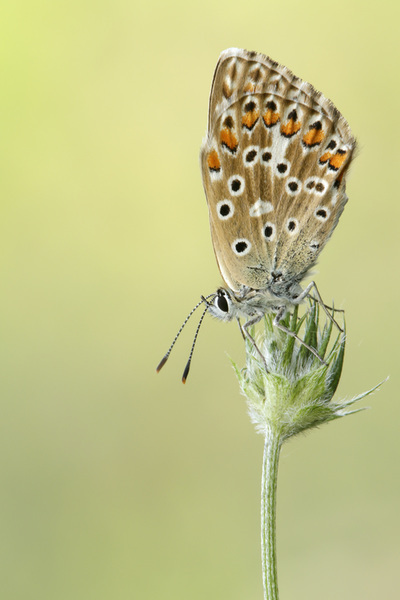 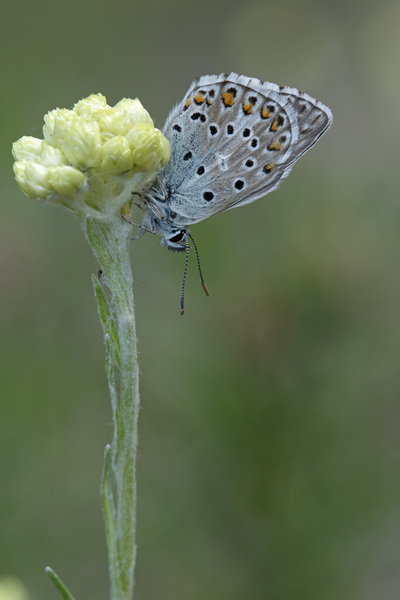 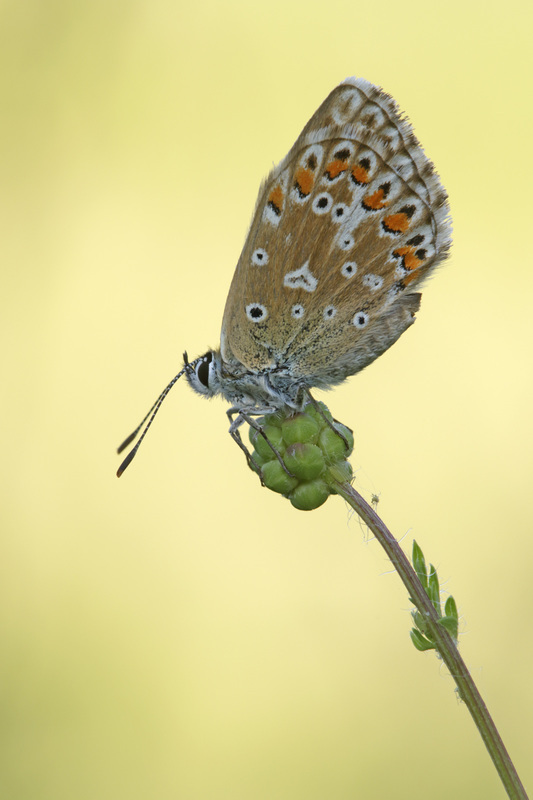 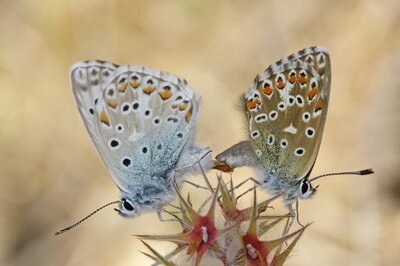 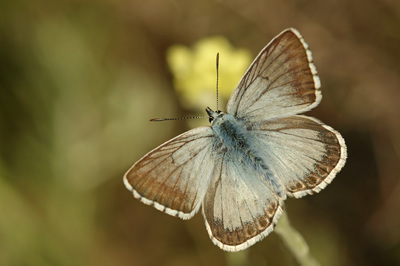 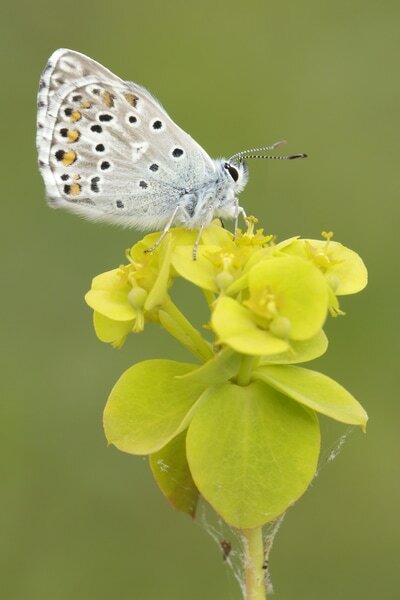 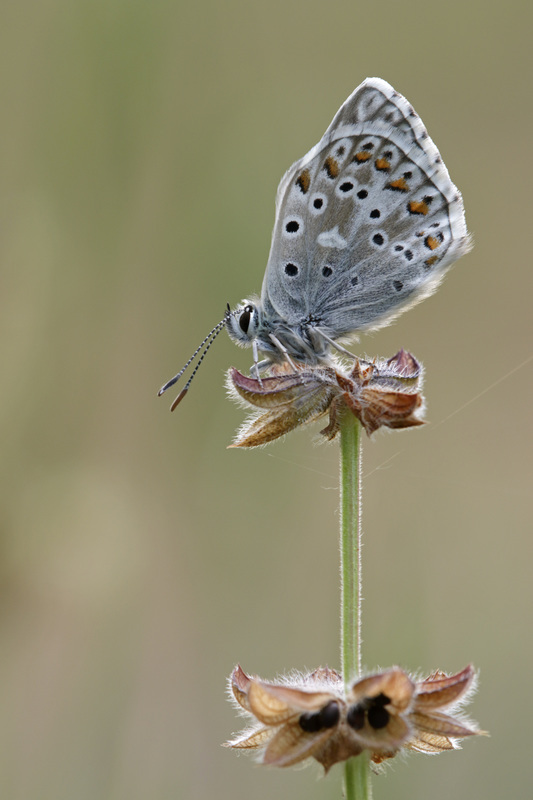 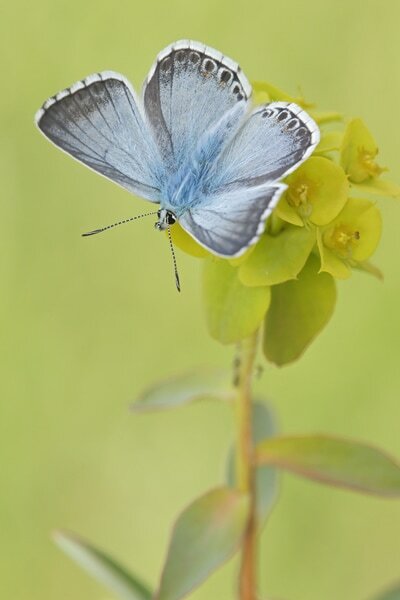 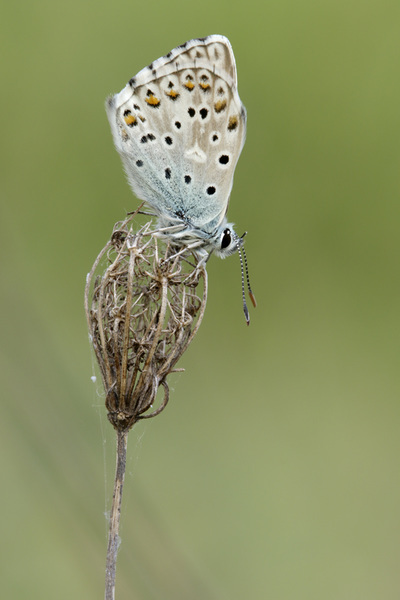 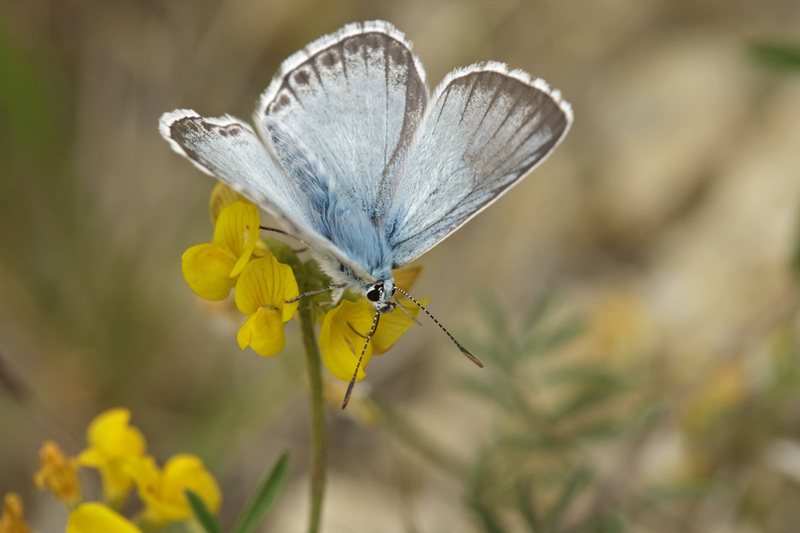 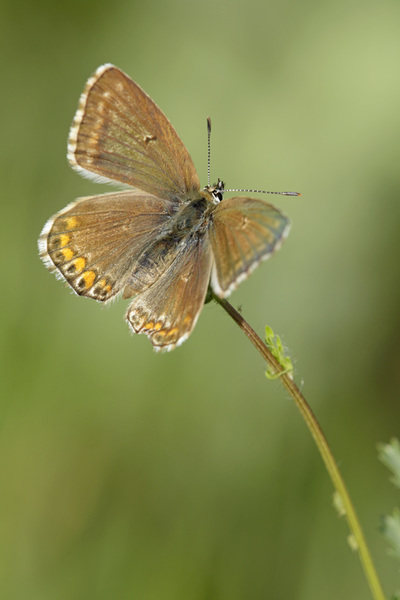 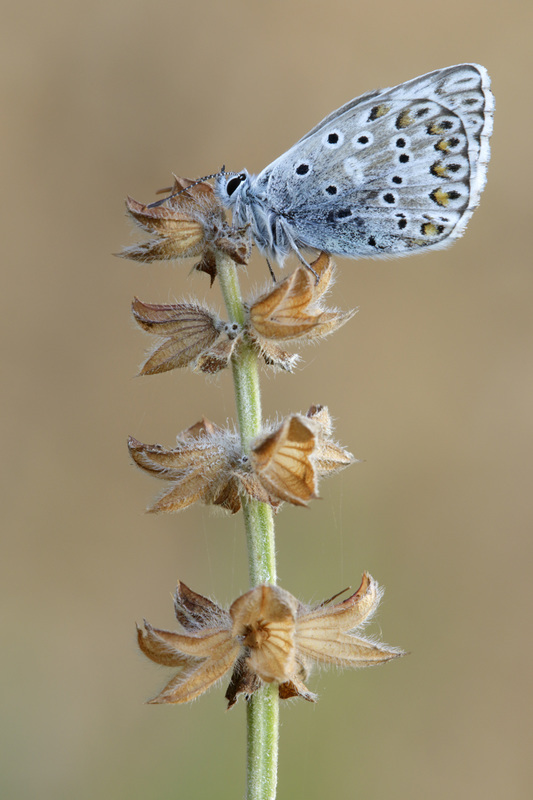 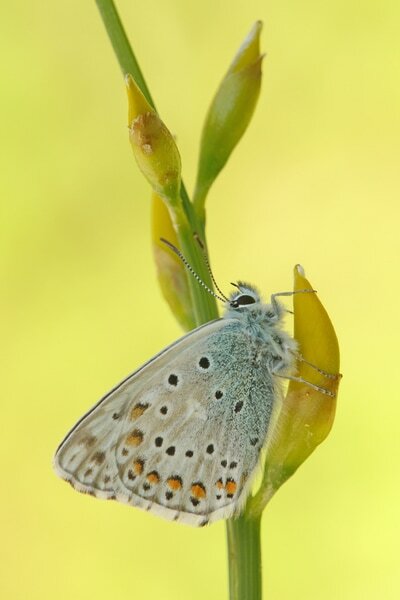 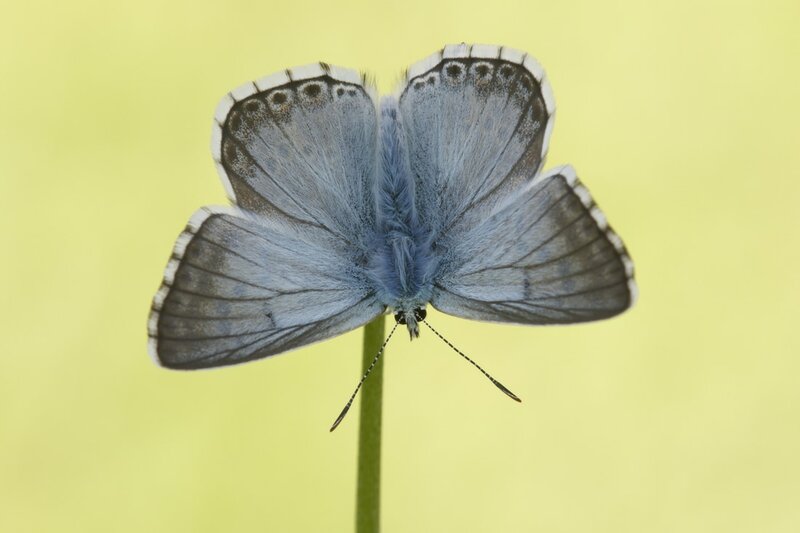 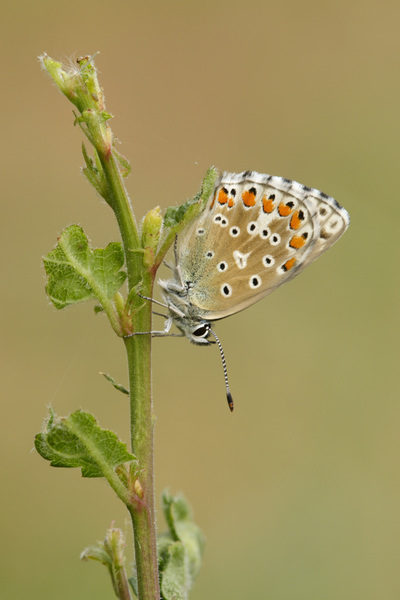 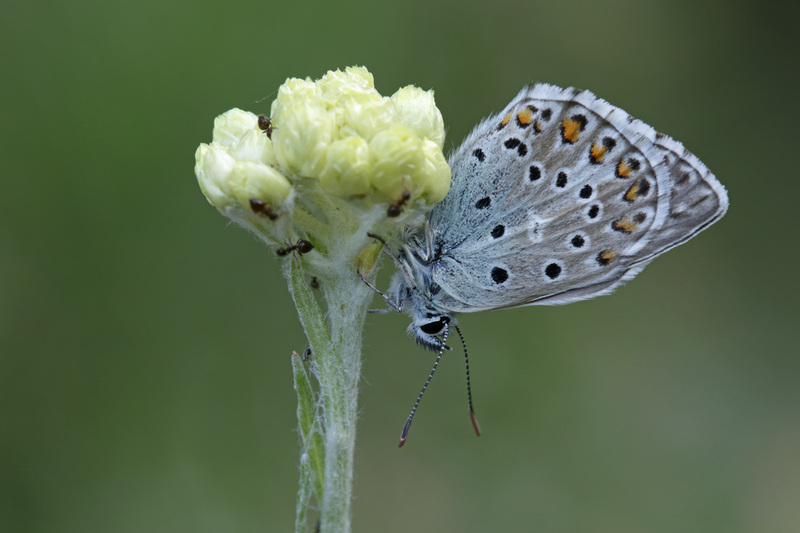 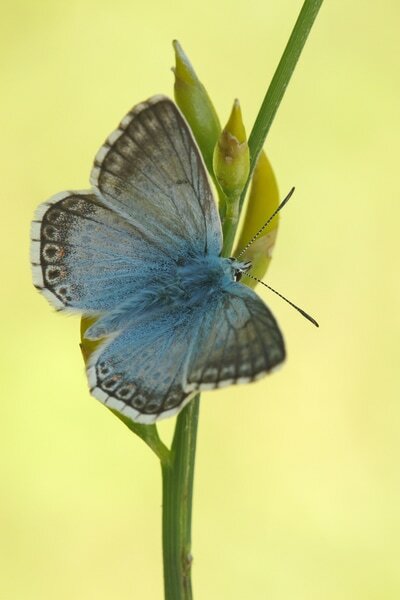 The male upperside is silvery blue, with a wide sooty-brown border on the forewing. 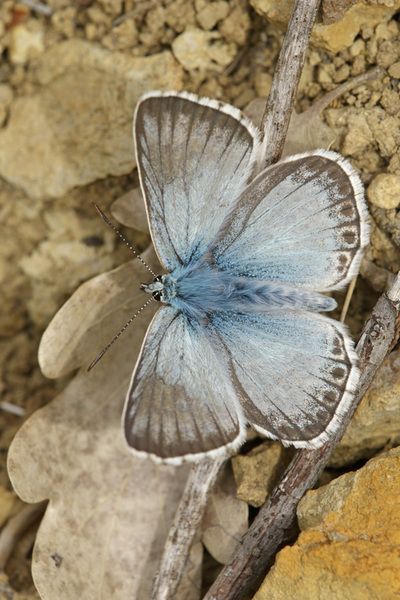 The hindwing border is broken up into separate oval sots. 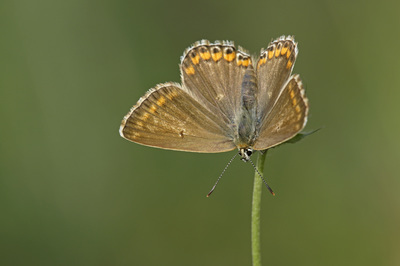 The female is brown, with faint orange submarginal lunules on the hindwing. Beyond these lunules are black spots, ringed on their outer edges by white scales. There is often a dusting of blue scales at the base. Both seces have chequered white fringes, although this is not always obvious on the male hindwing. 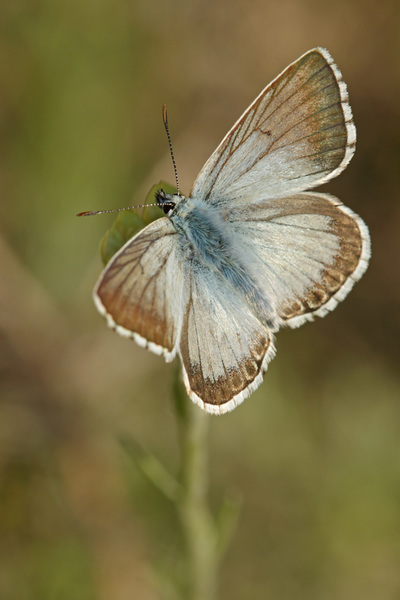 The male underside is pale grey with abundant black spots, including a spot in the cell of the forewing and faint orange lunules on the hindwing. 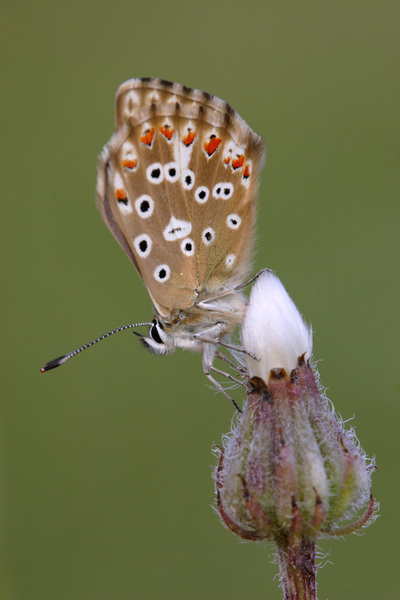 The female underside is similar except that the ground colour is pale brown. 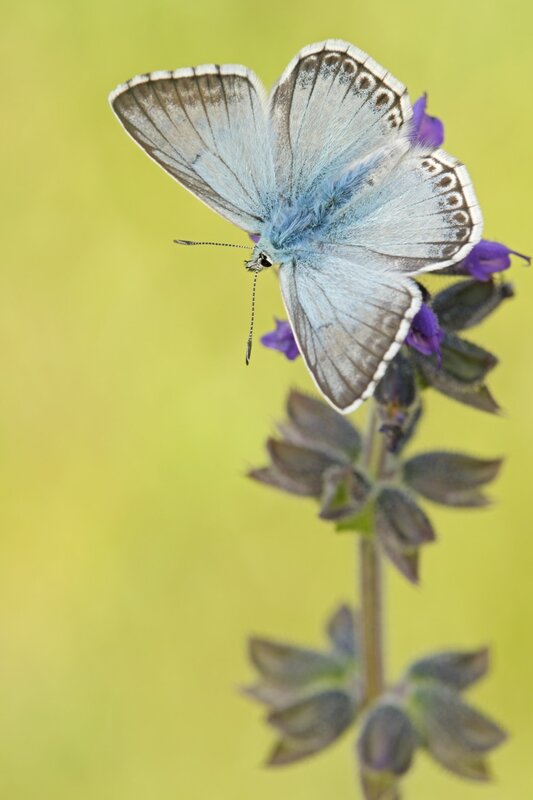 Flight from June to September. 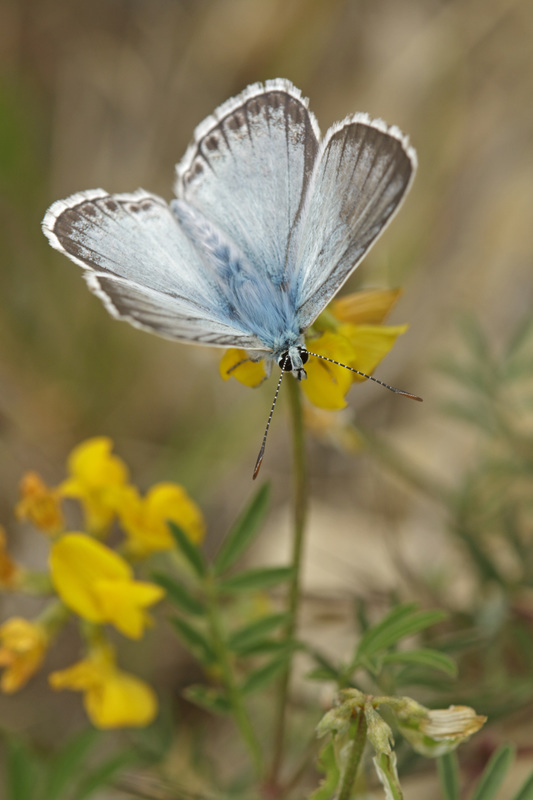 The larval foodplants is Horseshoe Vetch, although Bird's-foot Trefoil and some other low-growing leguminous plants are sometimes used as food sources.